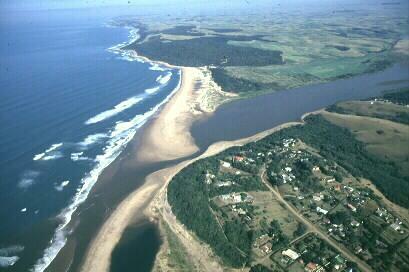 We have again been told of very good garrick fishing at Tugela Mouth over the past week. KZN north coast fishing has produced much the same as it has been over the last two weeks, with the excitement this week coming from a large number of grunter in the area. Most of the grunter reported did not make it past the 3kg mark, but many came in around the 1-2kg range. These were caught on prawn baits and small chokka baits fished on either running traces or light fixed sinker trace. Most of the other common spots around Kosi Bay have struggled to produce the goods and apart from the odd sandshark and kingie, things have been rather bleak. Slightly more productive is Cape Vidal and its surrounding areas. The shad, although of the smaller variety, have been on the bite almost every morning, which has helped in keeping anglers busy in the times of little action. Toby spoons are doing the job in this area during the day and early mornings, with Japanese mackerel or sardine producing fish in the dark. Apart from shad, other species noted in last week’s catch include stumpies up to 4kg as well as a few wave garrick. Anglers have also had fun off the reef with small kingies and other gamefish on spoon and drop-shot. Most areas from Maphelane down to Tugela have been dead, with hardly any action to speak of besides the odd shad, pompano and sandshark. Tugela River Mouth has seen a fair amount of action over the last week and is among the only spots to have continued to produce good fish through these relatively quiet times. Tugela Mouth has become the leading garrick spot, racking up the catches one by one. Shad and kob are still coming in hot, but have slowed down somewhat. The numbers have dropped, but the quality of fish has definitely improved. Salt Rock and Ballito have seen a few Natal snoek on artificials, but sadly not nearly as many as we have seen over the previous two weeks. Anglers fishing for edibles had a good time with pompano and stumpies off the ledges as well as on the banks, with the odd grey shark. The smaller rock species such as stone bream and rockcod have also been around and if enough time is spent on the rocks, the odd decent rockcod has been landed. With the sea being up this week, anglers can expect good scratching conditions and will see more of the rock species.